Lung alveoli anatomy. 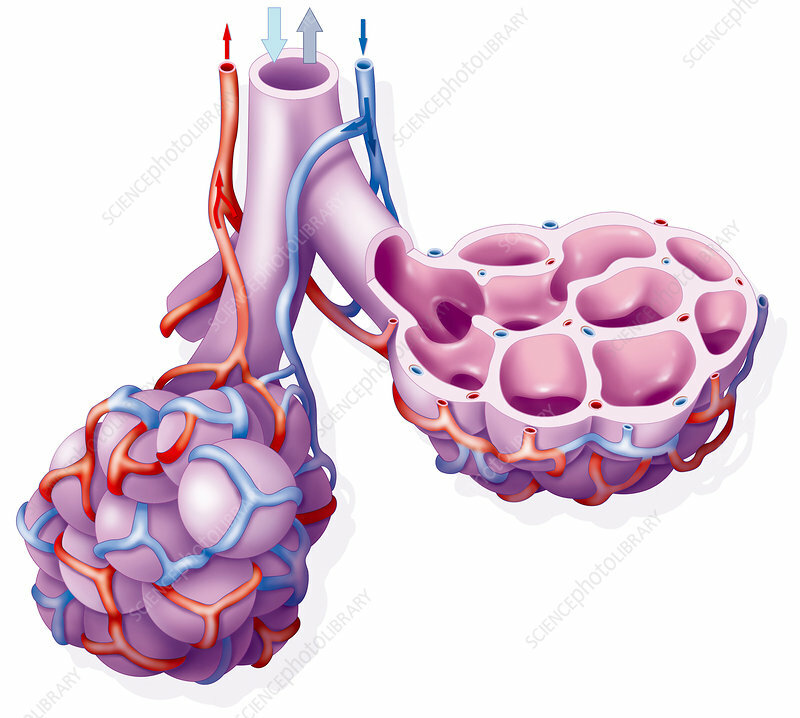 Artwork showing the structure of the lung alveoli, where gas exchange occurs between the respiratory and circulatory systems. Clusters of alveoli (one sectioned at right) are the endpoints of the branching airways in the lungs. Air passes in and out (arrows, top) during inhalation and exhalation. Deoxygenated blood (blue arrow) and oxygenated blood (red arrow) arrives and leaves in capillaries that enclose the alveoli. Oxygen passes into the bloodstream and carbon dioxide passes out of the bloodstream. The human lungs contain hundreds of millions of alveoli.